Millions of Americans are joining a holistic health revolution in which yoga, natural foods, and traditional Chinese medicine are providing potent healing alternatives to costly and often debilitating prescriptions of surgery and pharmacology. As a renowned acupuncturist, master herbalist, wellness consultant and lifelong student of various alchemical traditions, Pedram Shojai is the first author to fuse these energetic practices with an alchemical perspective, resulting in a powerful daily practice that not only heals and invigorates your body, but expands your awareness and personal power. Rise and Shine begins with the remarkable story of Pedram’s personal transformations that led him into him to his unique synthesis of spiritual and physical purification practices. 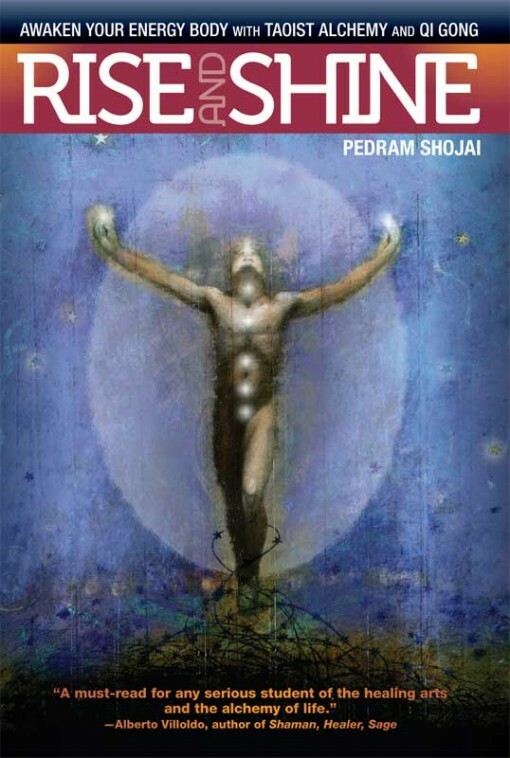 Shojai then shows readers ways to activate and balance the “Subtle Body” or “Light Body” the energy meridians of acupuncture and other energy channels. He incorporates meditation and synthesized forms of Qi Gong (Chinese energy yoga) from Taoist, Buddhist, and eastern medical traditions to teach modern audiences simple, profound methods to find balance, energy and peace in today’s world. Pedram Shojai is a dynamic teacher, Taoist minister, and lifelong student of various Alchemical Traditions. A master herbalist, licensed acupuncturist, and wellness consultant, Pedram has worked with individuals, companies, and groups for several years teaching transformative practice and meditation. Pedram teaches various forms of Qi Gong (Chinese energy yoga) from the Taoist, Buddhist, and medical traditions. He has a three DVD set out titled” “The Alchemy of Qi Gong” (Sacred Mysteries) that won acclaim from the COVR awards.